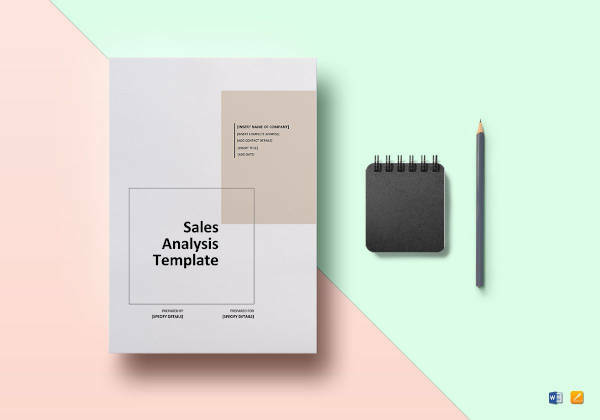 Results from sales analysis are useful to managers in determining any opportunity in the market where they could potentially increase sales for their products or services. Specifically, financial ratio analysis helps managers and business owners understand how the business is going and to what areas of their business need immediate attention or inclusion in any action plan or strategic plan. 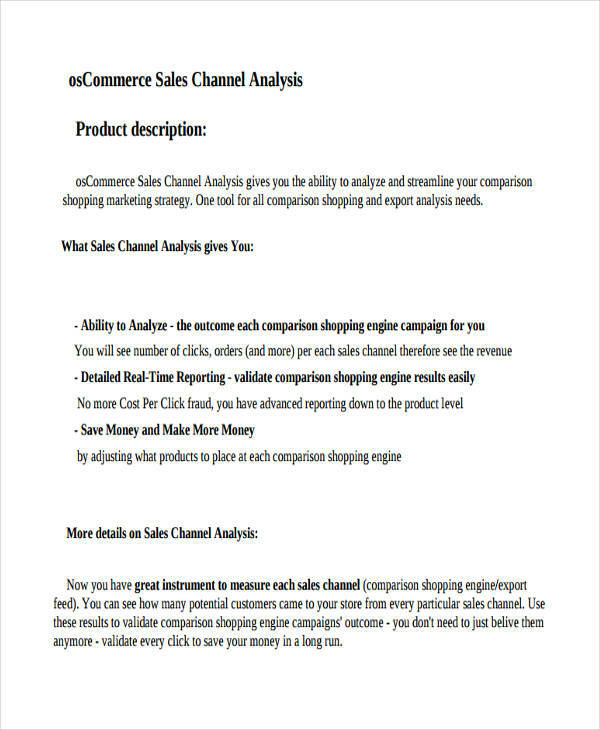 Examples on the page show different kinds of sales analysis that are useful and applicable to different types of business. Businesses analysis use the results from these like the break even analysis for example to determine if they are losing or gaining profit in their business. All the examples in these page are available for download. 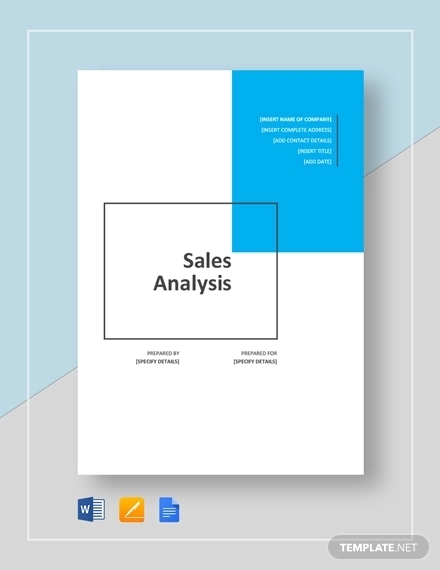 Sales analysis is a report or an assessment that show the inclinations or trends regarding the sales of a business. 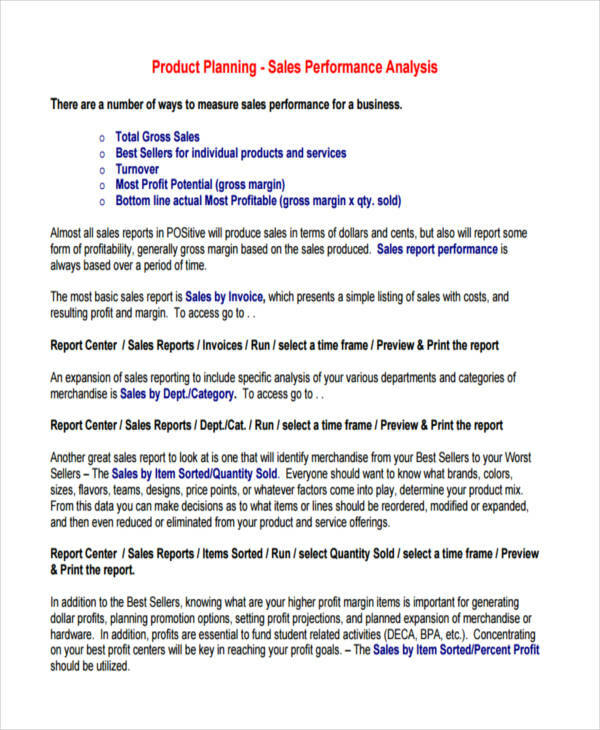 The monthly sales analysis example in PDF show such a report regarding the monthly sales of a business. This can then be useful by comparing it to previous monthly sales to ascertain the different areas such as specific items sold for the month to make sound business moves in improving sales and over all performance. 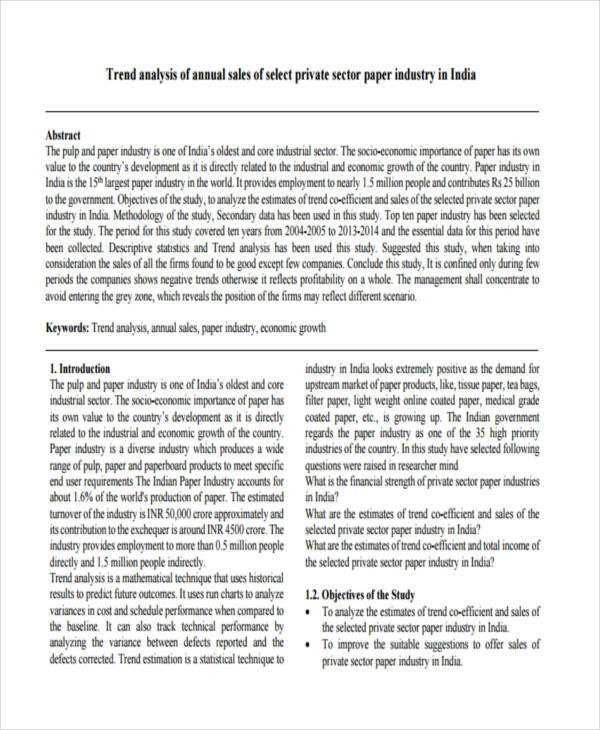 This report can be used as basis for marketing plans and strategic plans as well. To what extent can we be more effective? 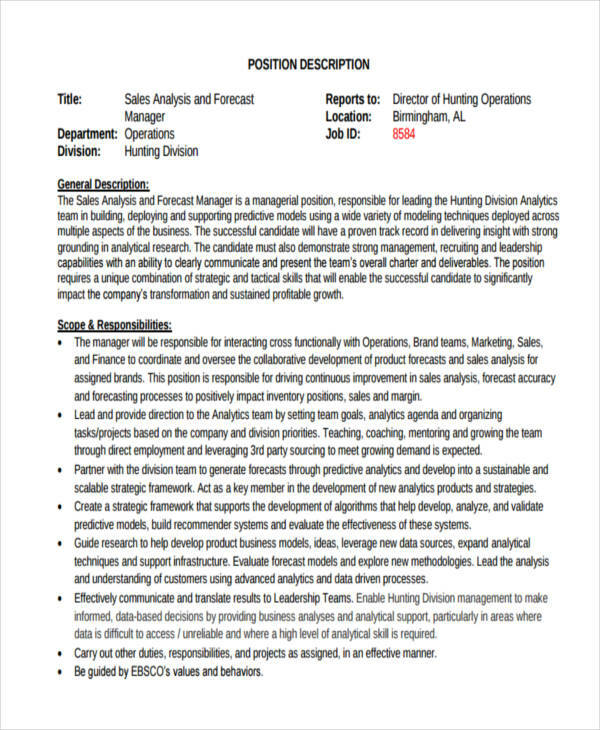 What are the factors needed to accomplish that? What is the duration for such to be accomplished? 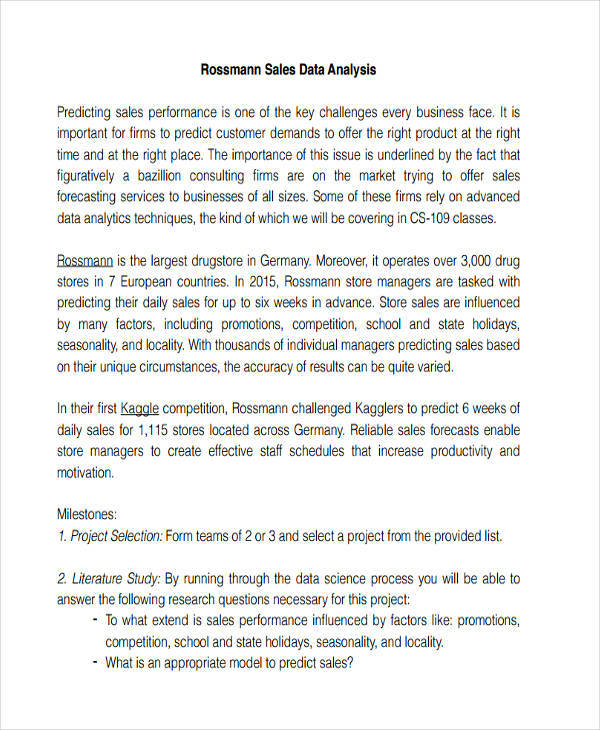 A gap analysis example can show data of actual performance versus any potential sales performance. Analysing and subjecting the result of such formal analysis may yield positive effects or realisation of your sales targets. 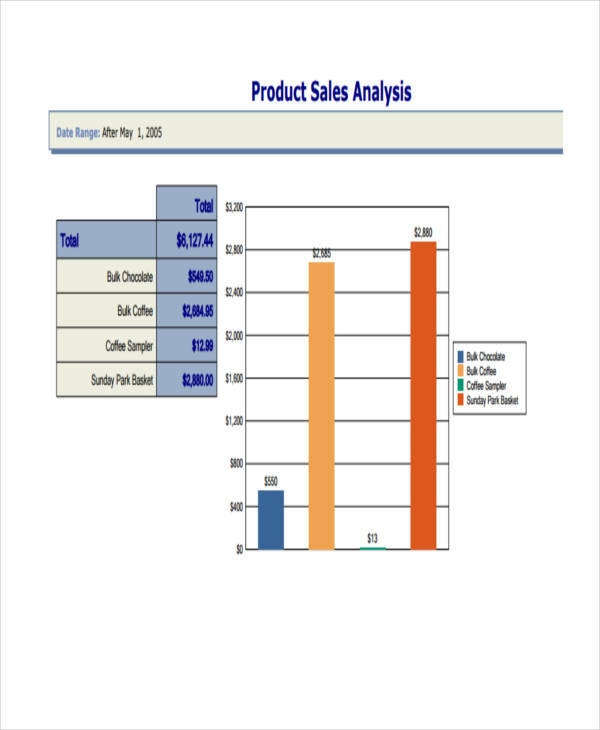 The example product sales analysis shows sales behaviour of products at a certain time range. Comparing that to a previous result helps us understand the performance or effectiveness of sales during that time period. 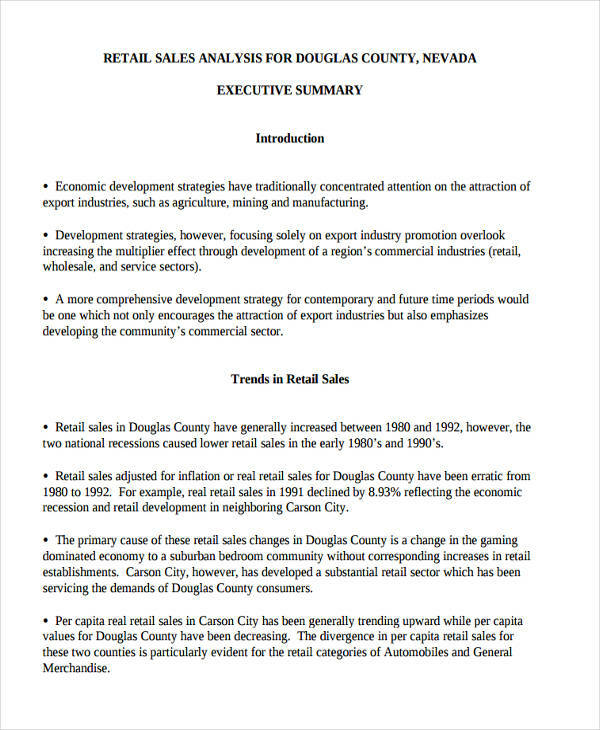 Analysis examples in Word format can be converted from the PDF files found in the page. By further specifying the sources of sales, managers can be more particular as to what aspect of the business they can profit the most and where they could improve from. Effective analysis of sales trends help you make better and logical business decisions. It helps you gain more understanding of your business and the activities involved doing that business. Furthermore, it gives you ideas in making project proposals, business proposals, marketing plans, action plans, or any work plan. 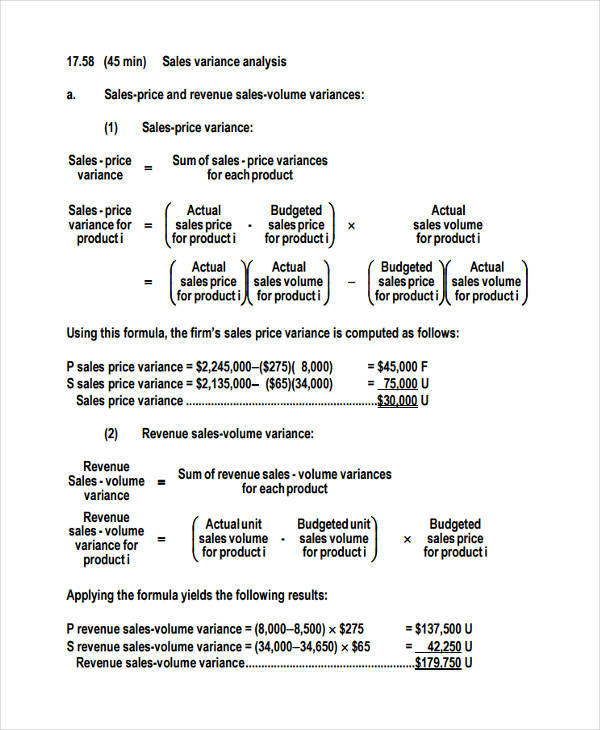 The simple analysis examples found in the page are all available for download by clicking the download button below the example. 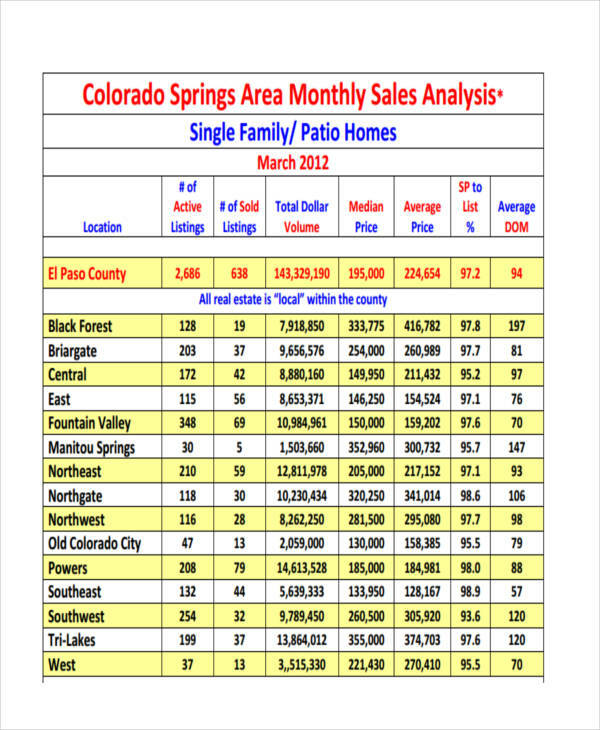 All examples found on this page are in PDF format and may need a viewer software to access such a file.